According to the Regional Health Agency- Indian Ocean, more than 1,000 dengue fever cases were reported in Reunion the week ending Apr.7. This brings the outbreak total on the island to more than 6,000. The southern part of the island is very active. 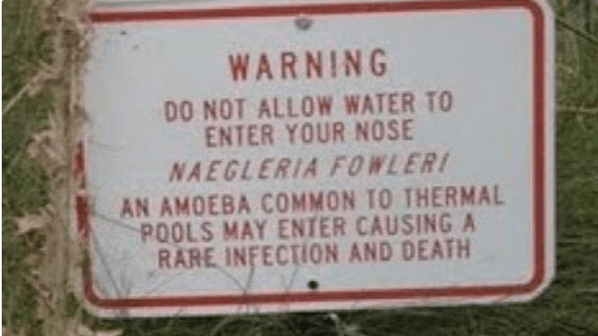 Officials with the Jinnah Postgraduate Medical Centre (JPMC) in Karachi, Pakistan is reporting the death of a 21-year old student from the Orangi Town area due to the “brain-eating amoeba”, Naegleria fowleri. The patient presented with a high-grade fever and other complaints. Upon suspicion of meningitis, he was transferred to the hospital ICU and died. Yemen Yemeni health officials reported an additional 27,840 suspected cases of cholera with 48 associated deaths during the week ending April 14. Eighteen percent of these are considered severe cases. Officials with the National Health Commission in China have reported the first human case of avian influenza A(H7N9) this year in Gansu. Cholera is surging once again in Yemen, with the U.N. reporting that the number of suspected cases has doubled in March over previous months and doctors in overwhelmed health facilities fearing it could rival a 2017 outbreak that spiraled into the world’s worst flare-up. The surge underscores how Yemen, which has endured multiple outbreaks of cholera amid four years of civil war, still isn’t able to stop its spread. Three cases, including one confirmed, were reported in Ippy in the week ending 3 March 2019. Since 2 October 2018, clusters of cases have been identified across three health districts, namely; Mbaiki district with nine cases including eight confirmed, Bangassou district with five cases including three confirmed, and Bossembele district with four cases including three confirmed. One death was reported in Bossembele. In total, 34 cases have been reported, including two deaths. The Republic of Congo is reporting cases of monkey pox since February 2019. Two samples from Makontipoko village in Gambona district tested in the INRB-Kinshasa turned positive for Monkey pox (PCR OPX). Nine total cases have been reported with no fatalities. In the week ending 3 March 2019, 90 new suspected cases including two deaths were reported. The cases of monkeypox have been confirmed in the Provincial Health Divisions of Ecuador, North Ubangi and South Ubangi. 824 total cases have been reported, including 12 deaths. In January 2019, six new suspected cases were reported from six states. Three were confirmed in two states (Rivers – 1 and Bayelsa – 2). Since September 2017, 26 states have reported suspected cases with 17 having reported a confirmed case. Rivers State is the most aﬀected. The South-South region of the country has the highest burden of monkeypox. Since the beginning of the outbreak, 311 cases (132 confirmed) and seven fatalities have been recorded. This past week saw a marked increase in the number of Ebola virus disease (EVD) cases in the Democratic Republic of the Congo. During this period, a total of 172 confirmed cases were reported from Katwa (50), Vuhovi (34), Mandima (28), Masereka (18), Beni (13), Butembo (12), Oicha (8), Kayna (3), Lubero (3), Kalunguta (1), Bunia (1) and Musienene (1). As of 2 April, a total of 1100 confirmed and probable EVD cases have been reported, of which 690 died (case fatality ratio 63%). Cholera cases in cyclone-hit Mozambique have spiked to more than 1400 and a second person has died from the disease. Mozambican and international health workers raced on Monday to contain the outbreak of cholera in the cyclone-hit city of Beira and surrounding areas, where cases of the disease has jumped to more than 1 000. There has been one death from cholera and of the reported cases 97 remain in treatment centers, with others released. In a report from the China Ministry of Agriculture (MOA) Sunday, officials report African swine fever (ASF) outbreaks on two farms in Lichuan City, Hubei Province in central China. On one farm, 83 pigs were infected, killing 73, while on the second farm, eight hogs were infected and five died out of a total of 142 hogs. The brains of dead dolphins recently found stranded on the beaches of Florida and Massachusetts contained the same amyloid plaques responsible for Alzheimer’s disease in humans, along with toxic contamination. Researchers from the University of Miami and other institutions detected an environmental toxin in the brains of the marine mammals that is produced by green algae blooms, which are becoming more common in coastal waters worldwide because of pollution runoff. Since the dolphins are considered a “sentinel species” for toxic exposure in the ocean, the scientists warn that the toxins from the algae could be triggering the same plaque buildup and contamination in human brains. From 1 through 28 February 2019, the National IHR Focal Point of Saudi Arabia reported 68 additional cases of Middle East respiratory syndrome coronavirus (MERS-CoV) infection, including 10 deaths. The ongoing Ebola virus disease (EVD) outbreak in the North Kivu and Ituri provinces saw a rise in the number of new cases this past week. During the last 21 days (6 – 26 March), a total of 125 new cases were reported. Cholera cases in Mozambique among survivors of a devastating cyclone have shot up to 139, officials said, as nearly 1 million vaccine doses were rushed to the region and health workers desperately tried to improvise treatment space for victims. Cholera causes acute diarrhea, is spread by contaminated food and water and can kill within hours if not treated. The disease is a major concern for the hundreds of thousands of cyclone survivors in the southern African nation now living in squalid conditions in camps, schools or damaged homes. Health officials in the Democratic Republic of the Congo (DRC) reported two additional Ebola Virus Disease (EVD) cases Thursday, bringing the cumulative number of cases is 993, since the beginning of the epidemic. The two new confirmed cases were reported in Mandima and Masereka. In addition, seven new EVD fatalities were reported bringing that total to 621. During the most recent reportable week, health officials saw another 566 confirmed cases with the most activity reported in The Saint-Louis River, St. Louis and St. Peter’s communes. The Regional Epidemiology and Surveillance Unit (RESU) reports some 5,616 cases of dengue fever with 18 deaths in the region through March 16, 2019. Cholera cases were reported on Friday in the Mozambican city of Beira, adding a risk of deadly illnesses for hundreds of thousands of people who are scrambling for shelter, food and water after catastrophic flooding in southern Africa caused by Cyclone Idai. In a follow-up on the cholera outbreak in Kampala, Uganda, health officials reported an update on the cholera outbreak that was declared in the Kampala area in early January. As of Feb. 10, 53 cholera cases, including three fatalities ave been reported across Kampala City and two other districts, Wakiso and Luwero. In some important infectious disease news out of Africa, the World Health Organization (WHO) updated the world on the measles outbreak in Madagascar. To date, officials have reported 66,000 cases since the outbreak began last September. In addition, at least 922 measles-related fatalities have been reported among children and young adults. In the Republic of Congo, a Chikungunya epidemic declaration has been issued in the Kouilou and Pool regions, with at least 1043 validated cases. Chikungunya is a mosquito-borne viral disease that is transmitted from human to human by the bites of infected female mosquitoes. The Uganda Ministry of Health received a report of four suspected cholera cases on Jan. 5 who had been seen at Kirudu hospital with· diarrhea and vomiting, which had started on 4th January 2019. These suspected cholera cases were from Kabowa parish, Rubaga division. A fresh cholera outbreak has claimed three lives from 10 cases recorded since Tuesday in the Chomubobo mining area in Mberengwa, Midlands province. Government is still searching for the source of the waterborne disease. Ongoing cholera outbreaks have been reported in Zimbabwe, Angola, Tanzania, Cameroon, Niger, Nigeria and the Democratic Republic of Congo. Since the Zimbabwe outbreak, there have been four laboratory-confirmed cases of cholera in South Africa. Over 10,000 cases were reported in Zimbabwe, claiming 59 lives. From 16 through 30 October 2018, the International Health Regulations (IHR 2005) National Focal Point of Saudi Arabia reported four additional cases of Middle East respiratory syndrome coronavirus (MERS-CoV) infection, including one death. The cholera outbreak in Cameroon is persisting and the Far North Region has shown a rapid increase in incidence cases in the last two weeks. From 2-9 November 2018, the Far North Region recorded 106 new suspected cholera cases, while North Region recorded 12. Four new deaths were reported in the Far North during this period. Thailand health officials are working to contain a measles outbreak in the southern provinces, in which some 1,500 cases have been reported, including 12 deaths. As of 3 November 2018, the cumulative number of suspected cases is 2,123, of which 216 are confirmed. Six regions are currently reporting confirmed cases: Diourbel (169), Fatick (34), St Louis (6), Dakar (3), Louga (3) and Thiès (1). So far, six cases have been hospitalized. One death of a confirmed case has been reported in the city of Touba in Diourbel Region. Cholera cases have jumped in northeast Nigeria where Boko Haram violence has forced tens of thousands of people to seek refuge in crowded camps, the Norwegian Refugee Council said on Monday. The humanitarian group said 10 000 people have been affected by the fast-spreading cholera outbreak and 175 people have died in the northeast states of Adamawa, Borno and Yobe as of early November 2018. Since the beginning of the year through Oct. 15, Bangladesh has reported 7,450 dengue fever cases and at least 17 fatalities, according to the Institute of Epidemiology Disease Control And Research (IEDCR). This is a record for the number of dengue cases in a year. The Zimbabwe cholera outbreak that began over a month ago continues to grow with 9,116 cases , including 54 deaths as of Friday. Fortunately, the weekly case incidence has been on a downward trend in recent weeks. China reported a new African swine fever case on a farm with nearly 20,000 pigs on Monday, the largest farm yet to report the highly contagious disease in the world’s top pork producer. The new case, one of numerous to be reported in northeast Liaoning province in recent days, underlines the escalating threat to the country’s $1 trillion pig industry from the disease despite a slew of initial measures imposed to curb its spread. Pig prices have plunged in China’s northeast after farmers were unable to transport their herds out of infected provinces, while prices in the south have surged. Niger health officials reported the first cases of this most recent cholera outbreak in early July, and since that time, the outbreak has ballooned to thousands of cases that have spread to multiple regions of the country. As of 1 October 2018, 3692 cases (14% of these were cases in Nigerian residents seeking care in Niger) with 68 deaths (case fatality rate = 1.8%) have been reported from twelve health districts in four regions: Dosso, Maradi, Tahoua, and Zinder. On 26 September 2017, WHO was alerted to a suspected outbreak of monkeypox in Yenagoa Local Government Area (LGA) in Bayelsa State, Nigeria. The index cluster was reported in a family. All of whom developed similar symptoms of fever and generalized skin rash over a period of four weeks. Epidemiological investigations into the cluster show that all infected cases had a contact with monkey about a month prior to onset.